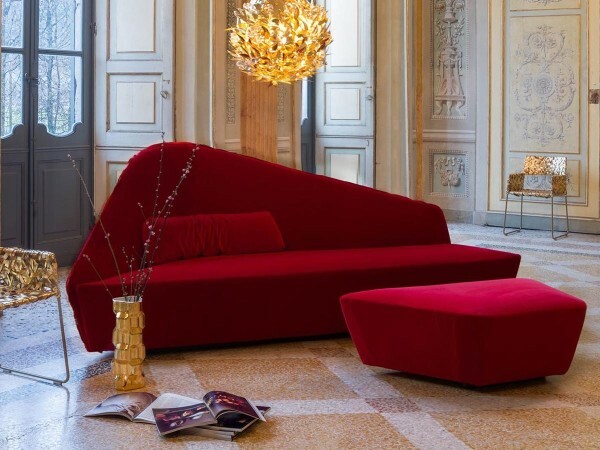 Divano Verlaine, design Lievore Altherr Molina per Driade. 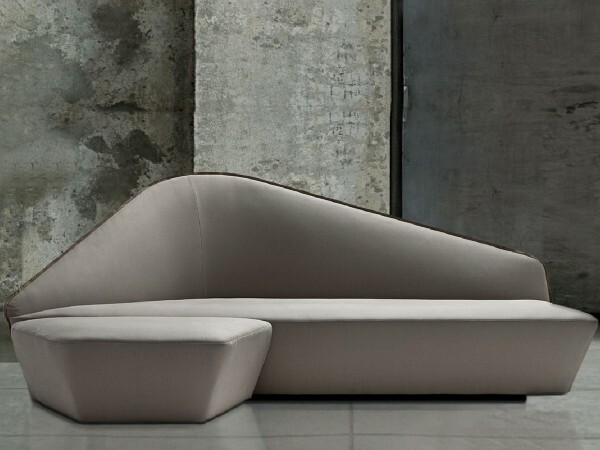 Verlaine sofa, design Lievore Altherr Molina for Driade. Big and harmonious shapes, characterized by an high asymmetric back. 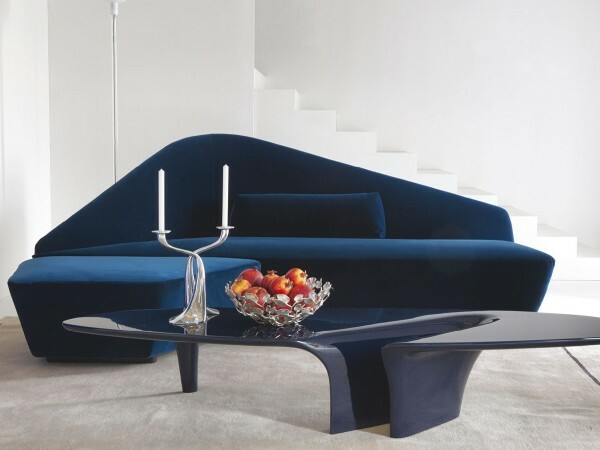 The Verlaine sofa, created by Lievore Altherr Molina spanish team for Driade, with sinuous and original shapes. Has a Polimex and MDF structure, different densities polyurethane foams padding and wooden feet. Its fascinating silhouette is an irresistible attraction inviting the viewer to appreciate the comfortable seat. Velvet, fabric or leather removable cover are available. Finishing: Fabric 100% cotton cat. INN or Velvet cat. LOIRA, silk contour.